Currently, most Americans to some degree rely on their Social Security to provide financial assistance for their retirement years as well as to their beneficiaries. But, based on the projections prepared by the Trustees of the Social Security Fund, the pool of fund assets will be used up by 2022, and completely depleted by 2036. If you are one of those who wholly depend on your employer-sponsored retirement account as the primary supplement for your retirement income, it is more advantageous to protect your future and build your retirement nest egg by funding your OWN retirement plan through an Individual Retirement Account (IRA). Many people think that they need a large amount of cash to be able to open an IRA, but this is untrue. You don’t need $5,000 to open an IRA. In fact, you don’t even need $100 to open one. There is NO minimum whatsoever, and there never has been. Opening and funding your IRA today with tiny amounts of money is perfectly acceptable. It is true that some financial institutions don’t want to bother with such small amounts, but a lot of money is not necessary if you follow our recommendations and advice. Opening your own IRA is super easy if you use the best IRA company available. Even if you just have a small amount of money to initially invest with, take some time now and make sure to open your account today – the longer you wait, the less you’ll earn! You can open your account anytime during the year to start earning money on your investments immediately, but you can only take advantage of compounding interest if you start as early as you can – and the earliest you can start is right now. The magic of compounding interest is that it can turn your pennies into dollars. So review the information and advice below, then make sure to get your account opened. You’ll be glad you did when it comes time for you to retire. If you plan to invest and open your IRA, you must pay special attention to IRA companies commissions and transactions fees since they will eat away at your investment returns. Many places like to charge high fees to open your IRA – some charge a so-called “maintenance fee” each year, while others include extra fees called “loads”. Initially, they may seem like small amounts, but over time they will strongly deteriorate your savings by thousands. Here is our top recommended and best IRA company. They all have NO hidden fees or minimums to get you started without any frustrations and hassles. TradeKing is an online broker providing low flat trading fees with no minimum account requirements and no hidden fees, making them one of our top choices for IRAs. TradeKing online brokerage accounts offer easy-to-use investment tools with low flat trading fees and no minimum account requirements. They have received the maximum 5-star rating for their customer service in SmartMoney’s 2011 broker survey, making them a solid choice for people who require assistance opening and maintaining their IRA account. Coming to a decision on where you should open an IRA is one of the most complicated processes in retirement investing. There are numerous financial companies that offer Individual Retirement Accounts. Each institution has its own weaknesses and strengths. Don’t fuss about getting the perfect match, instead deal with a reliable and reputable institution like one of the above recommended companies. Here are some additional factors to take into consideration. 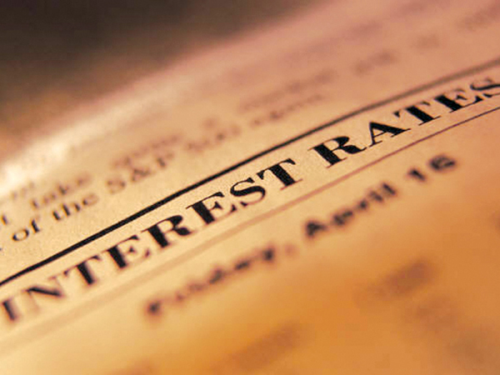 Do you need to pay for nominal initial investment? How about minimum contributions? What kinds of fees are integrated to opening an account? Does the company provide automatic contributions? What are the available investment choices? How reputable is the institution? Beware of “full-service brokers” that charge high fees. You can open an account with brokerage firms, credit unions, banks, and other financial institutions. You can fund a Traditional IRA if you are receiving a taxable income during the year of establishing such account and if you are not more than 70 ½ years old. If you are married but you are unemployed or you only have a part-time job, your spouse can fund your IRA, giving both of you the opportunity to take advantage of the best IRA rates depending on your chosen investments. You may also be allowed to get a deduction on your tax return for IRA contributions if you meet the IRS requirements. The right to deduct your contribution is normally reliant on your tax-filing status, your salary, and whether or not you have an active employer-sponsored retirement account. 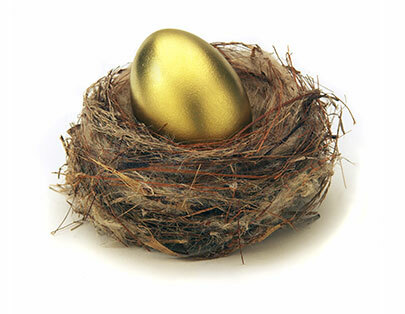 Another opportunity to firmly build your retirement nest egg is by funding and opening a Roth IRA. A Roth IRA is a type of Individual Retirement Account that carries several similarities to the Traditional IRA. The main difference is that its contributed funds are NOT tax-deductible while your qualified IRA withdrawals are free from tax. This is at times referred to as the back-ended Individual Retirement Account for the reason that the tax advantages are not obtained up front, though in several aspects it is similar to a Traditional IRA. You are allowed to fund a Roth account even if you are more than 70 ½ years of age. You are not obligated to begin distributing your funds when you become 70 ½ years old. You are not permitted to acquire a deduction on your income-tax return for funds contributed to your Roth plan. Assess your need for personal investment advice. Look for a professional who can help you ascertain your financial goals. You will need to pay a premium for this service, thus, it’s critical to ensure that you will get your money’s worth. The top IRA companies furnish all the investment choices allowed by the Internal Revenue Service (IRS). While many large companies compel considerably few restrictions, there are some that give out a substantially constrained line-up of investment options. It is very critical to ensure that all of your investments that you will necessitate for your present and future needs are accessible. Furthermore, you must make certain that your investment portfolio is diversified. Lastly, you will need to consider the amount of fees incorporated to your IRA. The recommended IRA companies for 2016 listed above will give you reasonable account fees, but we strong recommend TradeKing to help you avoid all the setup and trading fees. If you choose another IRA company, you must ensure that your chosen provider does not charge your account with sale-loads or fees when you acquire investments. Don’t wait any longer, get started with the best Roth IRA providers today.